Abe Cohen Plumbing and Heating Inc. is who you need to call for residential water heating in Ahuntsic, Baie D'Urfe, Beaconsfield, Bord du Lac, Cote Saint-Luc, Cote St-Luc, Dollard des Ormeaux, Dorval, Downtown, Hampstead, Ile Bizard, Lachine, Lacey Green, Lakeshore, LaSalle, Laval, Mile End, Montreal West, NDG, Nouveaux St. Laurent, Nun's Island, Old Montreal, Outremont, Pierrefonds, Plateau, Pointe Claire, Pointe St. Charles, Roxboro, Ste-Genevieve, St. Henri, Town of Mount Royal, Verdun, Ville St. Laurent, West Island, Westpark, Westmount. Heating with hot water is enjoying renewed popularity, especially with the new lighter radiators (also known as convectors). The enjoyable radiant heat is no longer a thing of the past. We are qualified and experienced to install radiators, heating boilers, and all the associated plumbing required. 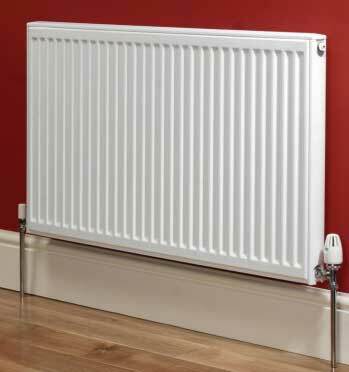 The radiator (convector) is the most visible indication of a hot-water heating system. Years ago, most radiators were bulky and heavy cast iron (still in use and very popular). Today there are many who appreciate their beauty and also consider them respectful of the original design of an older building. We also have the option of installing sleeker, more modern, smaller, lighter weight, and less imposing radiators. Thermostatic radiator valves offer an additional level of control of temperature on a radiator-by-radiator basis. Very popular today, thermostatically controlled radiator valves allow you to control (reduce) the output of any convector or radiator to lower the temperature of an over-heated room. At Abe Cohen Plumbing and Heating Inc., we are a three-generation family business with more than 50 years in the plumbing trade. We consider our customers to be family and friends in a long-term relationship with us. We have the experience, expertise, tools, and equipment to install hot-water radiators/convectors in the greater Montreal area. We are respectful, clean, and professional. We are certified and active members of CMMTQ (Corporation des maîtres mécaniciens en tuyauterie du Québec), ACQ (Association de la Construction du Québec), and certified partners of Gaz Métro for natural gas piping and installations.